Are Women The Key To A Successful Bike Culture? 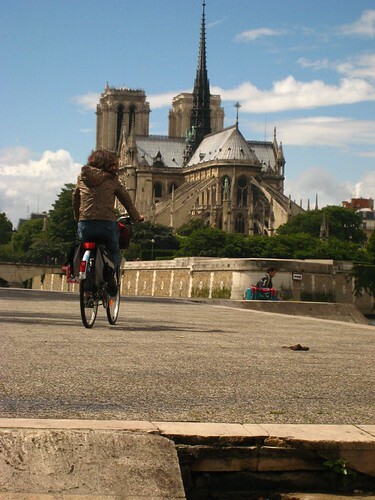 This morning I was reading Copenhagen Cycle Chic’s report on the véloculture in Paris. It’s so wonderful to read about the success of the Vélib program. Since the program was introduced last summer, biking has exploded in the city of Paris. Biking around Paris would have been so great! Tim and I were there last July and we missed the installation of the Vélib bikes by one week. We saw the stations all over town, but they were all bikeless. We walked and took the Metro – but would have prefered cruising around Paris on bikes. I guess we’ll have to go back and give Vélib a try.